This January sees Premier Control Technologies introduce back into our product offerings a range of Ultrasonic, non-invasive flow meters for use with Liquids and we now look in detail at the S3 model. Pipe sizes from ½" up to 100"
On top of this excellent specification, the S3 model also features a fully user programmable display. The display may be used to change application parameters such as pipe size, volumetric units, display language (choose from English, Spanish, French or German) or output spans. The S3 model will save up to 5 sets of application parameters. The large backlit display will show instantaneous flow readings as well as totalised flow. 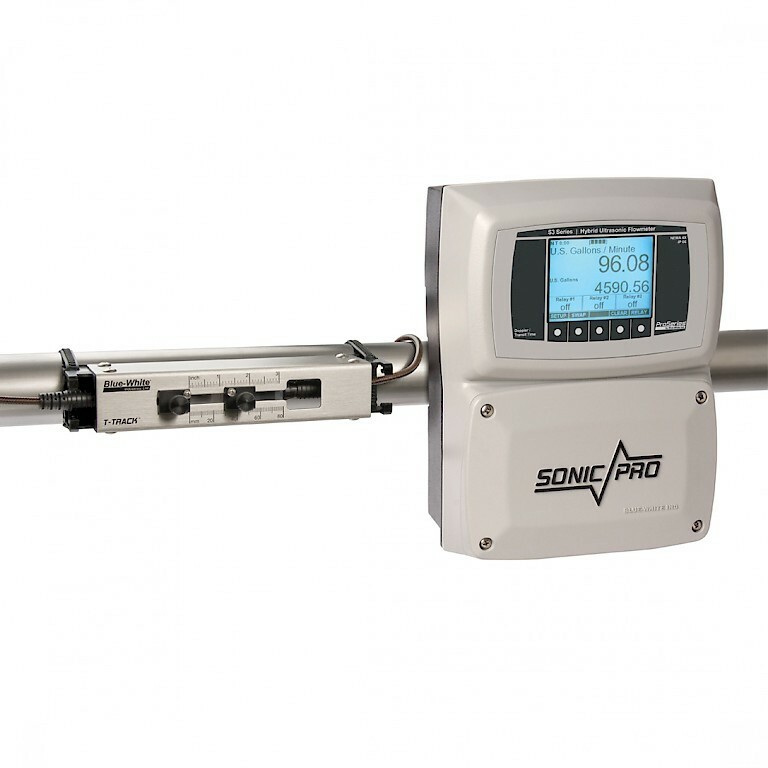 All Sonic Pro models also have the option to add either external communications or process control outputs. External communications supports RS-232, RS485, USB and Ethernet Connections. Process Control outputs supports three independently configurable 10 amp Form C, NO/NC relays. These can be configured for high/low/range rate alarms or for batching / totalised flow operations. The Sonic Pro S3 can be used witha variety of different transducer types for different pipes sizes and applications. Contact us today for further details of the Sonic Pro line-up.